Lally Coaches is proudly operating sightseeing day tours to the Cliffs of Moher, Connemara, Aran Islands, and Galway City. Our Day Tours are available for single travelers and groups alike. Routes are also available for private hire. Experience the rugged coastlines, windswept landscapes, rare flora and Irish culture that make The Burren unique. 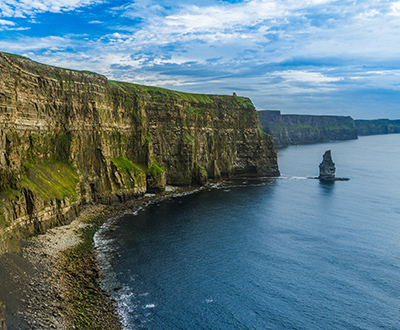 Explore the most popular sights of Ireland’s west coast on our professional guided day tour to the Cliffs of Moher and the Burren. 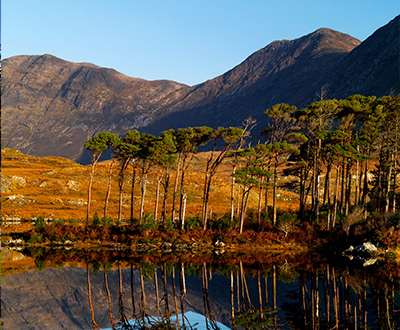 Explore the heart of the Gaeltacht (Irish-Speaking) region of Ireland. Travel through Ireland’s most untouched, rugged landscape blanketed in majestic mountains, expansive lakes, golden beaches and breathtaking valleys. This tour is named the Traditional Irish Cultural Experience – and is a look into traditional life on the West coast of the Emerald Isle. Along the way, you’ll learn a bit of the Irish language, the history that has shaped the region, and a few tales of the local residents. 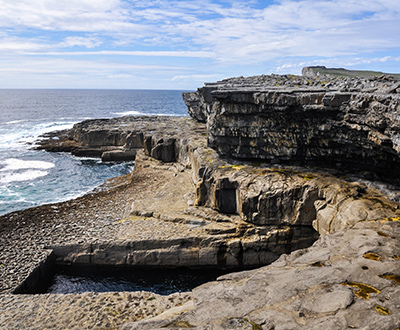 The Aran Islands offer spectacular views of the Connemara coast, Twelve Pins mountains and Cliffs of Moher. Easily visible from county Galway, the Aran Islands are seated in the midst of the bay and are a time capsule of desolate beauty and monastic remains. Ancient forts such as Dun Aonghusa on Inis Mór and Dún Chonchúir on Inishmaan are some of the oldest archaeological remains in Ireland. Getting to the Aran Islands from Galway is easy with Lally Tours. We provide a daily transport service from Galway to the port at Rossaveal (bus journey approx 1 hour). 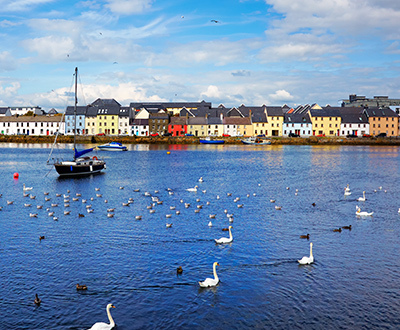 Hop aboard the Galway City Tour and get ready to explore the City of the Tribes. On this Hop-on Hop-off tour of Galway, you’ll everything from medieval walls in the city centre to the sandy beaches of Salthill. You’ll see all of the top attractions in Galway!